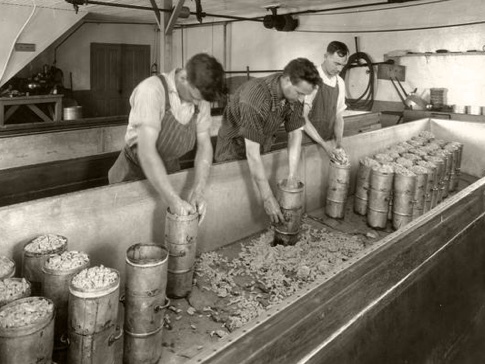 Here in Wisconsin, we stay busy making the best cheese on Earth. We believe that great cheese makes the world a better and happier place, and we’re constantly pushing the boundaries of what cheese can be - through new varieties, textures, and flavors. We believe in tradition and innovation. 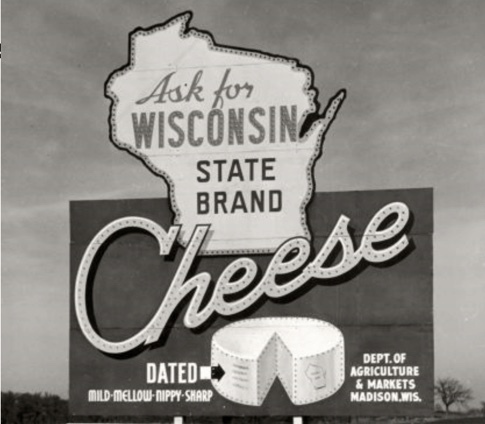 And while you'll find classic cheeses, you'll also find cheeses that are original to our state. 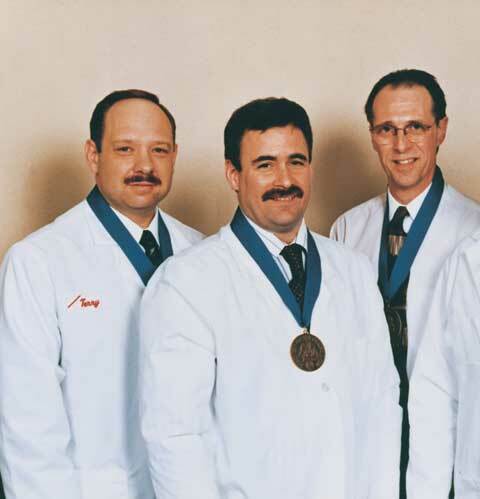 Even though we believe we make the best cheese, you'll notice we don't like to brag much. We'd love for you to try our cheese and decide for yourself. 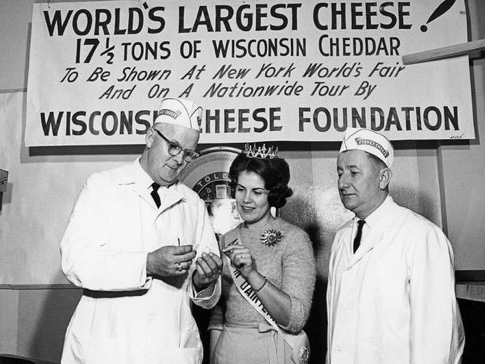 Immigrants from all of Europe’s big-name cheesemaking countries arrive in Wisconsin. 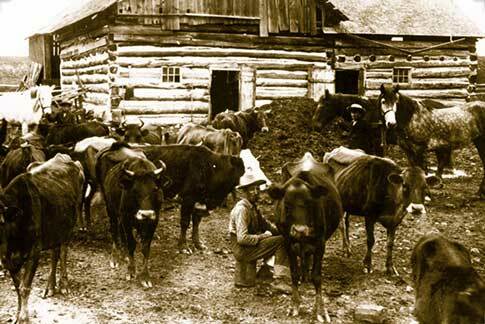 Before we even become a state, farmers are hard at work, making homemade cheeses out of milk. Told you we went way back! Anne Pickett starts Wisconsin’s first small cheese factory using milk from her neighbor’s cows. She takes the business of cheese seriously, but we know she’s smiling on the inside. Brick cheese, a Wisconsin original, is born. 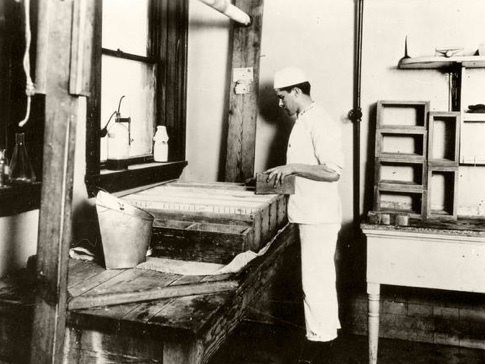 Swiss immigrant cheesemaker John Jossi begins using bricks to press curds and shape cheese. The quintessential Wisconsinite, he kindly shares his Brick process with a dozen other cheesemakers in the state. Can you guess where this cheese comes from? The soft, open-textured cheese invented by John Steinwand in - you got it - Colby, Wisconsin becomes an instant hit at home and around the world. 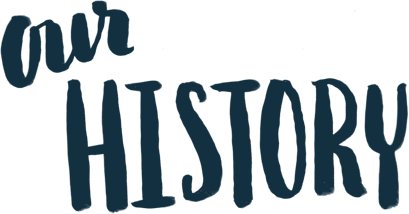 A new century means new milestones for Wisconsin. Our hard-working state surpasses New York to become the nation’s #1 dairy producer and is called “America’s Dairyland” for the first time. Milk and butter and cheese - oh my! The whole country is caught up in a post-war fever. And we were celebrating too! Wisconsin’s contribution to the new era: we become the first state to grade cheese for its quality and create rules for food safety. Roaring twenties, indeed! 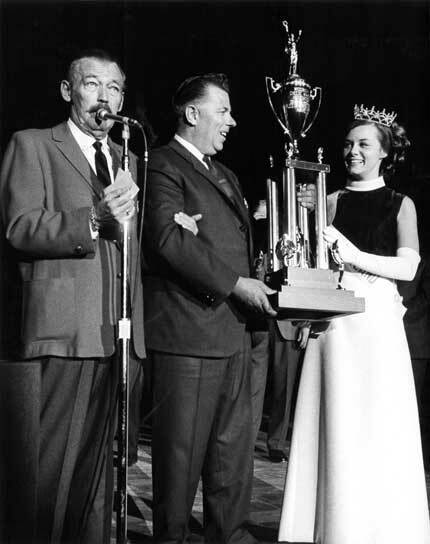 Ah, 1962... Sam Walton opens the first Wal-Mart store, the average monthly rent is $110, and the world keeps catching on to what’s happening in Wisconsin: longtime Wisconsin cheesemaker, Vincent Thompson, is named the World Champion Cheddar Cheese Maker! It’s the year of the World’s Fair in New York, and what could Wisconsin bring to the world’s largest stage? The world’s largest cheese, of course. Our mammoth cheddar weighs more than 17 tons! Even the most modest cheeses shine when they’re from Wisconsin. 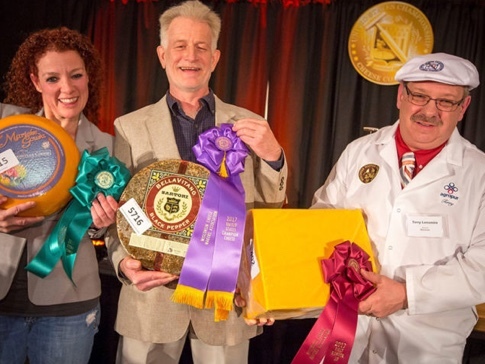 Julie Hook's Colby wins big at the World Cheese Championship. 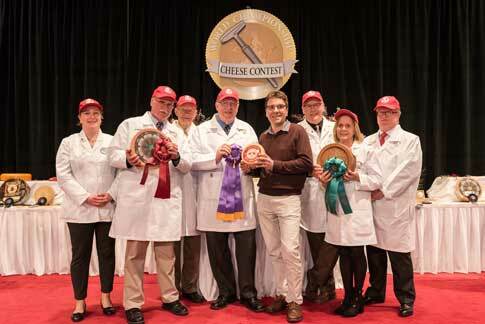 It’s deemed the “Finest Cheese in the World” against the winners of all other classes… all 482 of them. 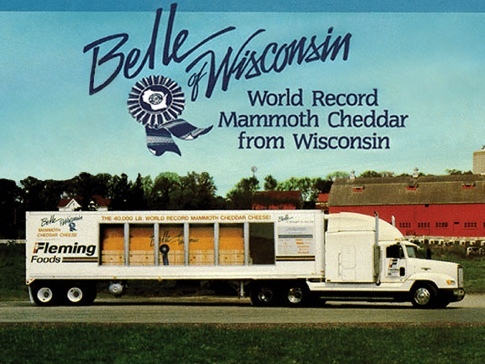 The "Belle of Wisconsin," a massive, 20-ton block of cheddar known as “a cheese of epic proportions” begins a yearlong tour of the United States. Because…why not? The art — and science — of cheesemaking is elevated to a new degree when America’s only Master Cheesemaker program is established right here in Wisconsin. 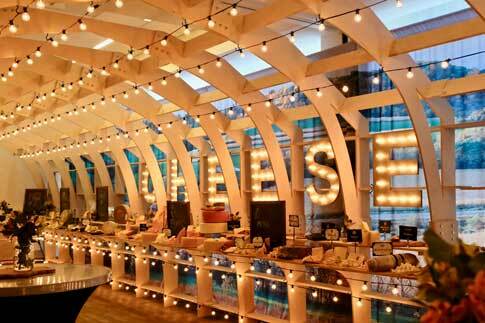 We set the cheese bar high! 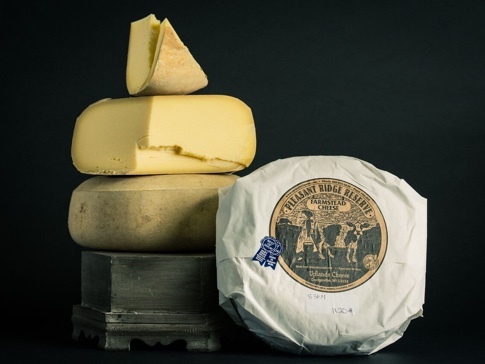 Uplands Cheese Company’s Pleasant Ridge Reserve wins the coveted Best in Show award at the American Cheese Society - for a record third time in 10 years! If you haven’t tried it yet, you might want to. The awards keep rolling in for Wisconsin as Emmi Roth’s Grand Cru Surchoix wins the World Championship Cheese Contest. “Surchoix” means top-quality. But you already knew that, right? 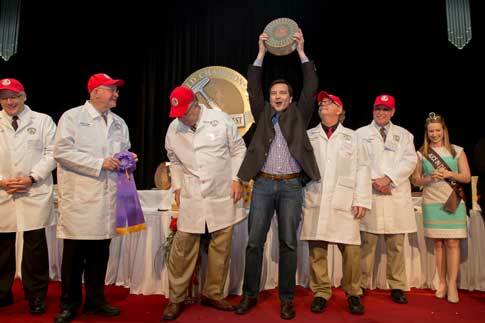 Wisconsin cheesemakers return home with big smiles and the top 3 awards after the U.S. Championship Cheese Contest. 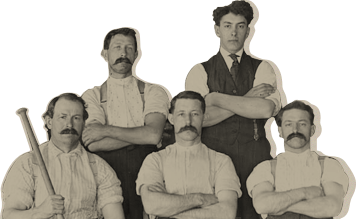 Shout out to our pals at Sartori, Agropur, and Marieke Gouda! More cheese, please! Wisconsin makes history by building the world's longest cheese board at South by Southwest, sharing over a ton of cheese with attendees from all over the world. 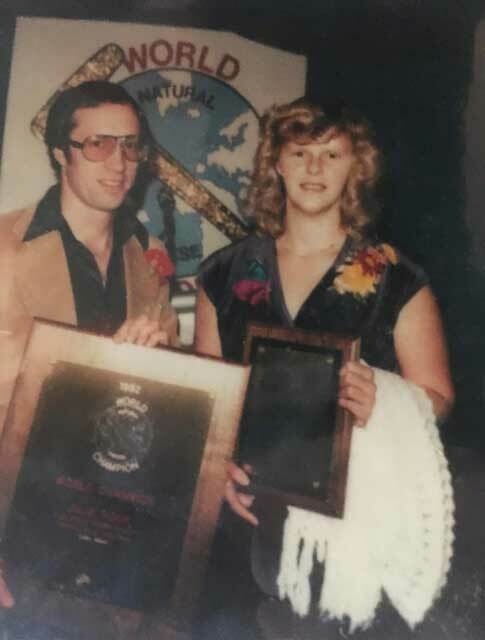 Wisconsin wins more awards than any other state or country at the 2018 World Championship Cheese Contest, bringing our award count to over 5,500 since 1995. What will 2019 bring? 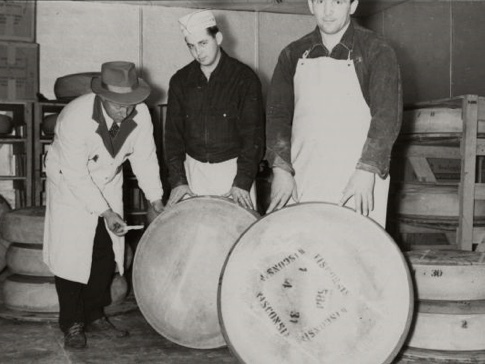 Photos courtesy of: Wisconsin State Historical Society (WHI); Emmi Roth; Wisconsin Cheese Makers Association; Todd Maughan. 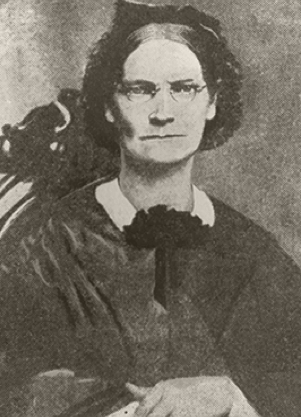 Select images have been cropped.